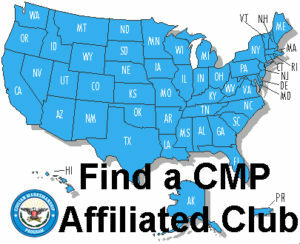 By affiliating with the CMP, both individuals and clubs may benefit in a variety of ways. It’s an ideal way for individuals to gain access to training, facilities, equipment and the ultimate goal of taking your marksmanship to a higher level. The information below outlines the full range of program services that are now available to organizations that affiliate with the CMP. Eligibility guidelines may apply to some CMP programs, so you may confirm the eligibility of your organization or members in your organizations for these programs, please see the chart below. 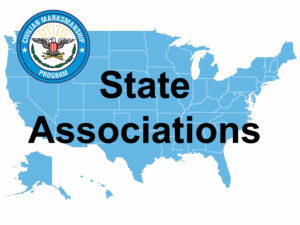 The CMP offers the Club Pay Back Program to affiliated clubs where $5.00 per competitor will be awarded to any CMP Affiliated Club that has 5 or more of their members attending and participating in the marksmanship competition matches held at the event. The club members will need to present his or her club ID card at any of our Travel Games. The official CMP newsletter titled The First Shot is an online publication that provides updates on new CMP programs and changes as well as information about major events like the annual National Matches. To receive email updates when new issues are posted online, please complete the CMP Email News and Updates sign-up form. Every CMP affiliate also receives a newsletter that is produced especially for junior shooting leaders and coaches. ON THE MARK provides tips on conducting junior programs and instruction as well as program brochures and announcements on a wide range of training and competition opportunities available to youth. If you have questions regarding this publication, contact the CMP Communications Department via email at [email protected]. The former government program that issued surplus government smallbore ammunition to DCM-affiliated clubs free of charge ended in FY2000 when supplies of surplus government smallbore ammunition were exhausted. The CMP replaced this program with volume-purchase commercial contracts that continue to make attractively priced ammunition that is especially suitable for junior marksmanship training available. All CMP affiliates, regular and special are eligible to buy unlimited quantities of this ammunition if they sponsor youth marksmanship training. This .22 cal. rimfire ammo, air rifle pellets and BBs are sold at CMP costs that are kept as low as possible by making volume purchases. Click here for more information. The CMP Affiliate Rifle Purchase Program is a CMP program in which CMP-affiliated schools, junior clubs, teams and camps can purchase .177 cal precision and sporter air rifles, and .22 cal smallbore rifles for target training and competition by beginning to intermediate level shooters. These rifles also may be purchased through the CMP delayed payment plan that allows purchaser to distribute payments over a two-year span. In one of the CMP’s older programs, instructional clinics are offered by affiliated organizations so that individuals in their areas can fulfill the CMP marksmanship participation requirement to become eligible to purchase CMP rifles. Many of these clinics, in fact, are called “Garand Clinics.” These local clinics also provide firearm safety training and an introduction to target and range firing for large numbers of adult and junior shooters. The CMP provides instructional materials and low-cost ammunition for the clinics. Last year, 117 of these clinics were sanctioned by the CMP and provided instruction to over 1,800 individuals. Please contact Christina Roguski at [email protected] or (419) 635-2141 ext. 714 for pricing and availability of ammunition for Club clinics and matches. To help clinic sponsors promote their clinics, the CMP posts current lists of all sanctioned clinics on its Web site. 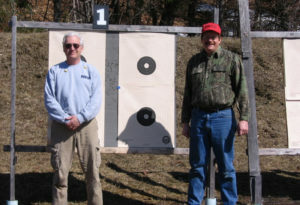 When the clinic sponsor provides a report on how many people attended the clinic, the CMP will provide certificates of clinic completion that these individuals can then use to verify completion of the marksmanship participation requirement necessary to purchase a government surplus rifle from CMP. The CMP posts a list of all sanctioned clinics on Competion Tracker. Over the years, Sanctioned CMP Games Matches have grown in number and popularity. The CMP introduced the John C. Garand Match as a National Matches event in 1999. This innovative competition is restricted to commonly available M1 Garand rifles in “as-issued” condition. It features a course of fire that can be completed by shooting sports enthusiasts who do not have formal target shooting experience, but it is still challenging to experienced competitors. The match was an instant success and demonstrated how rifle competitions that appeal to recreational target shooters have the potential to become very popular. The Garand Match quickly grew from just over 300 competitors in its first year to become the National Matches biggest single event at nearly 1,400 plus competitors. 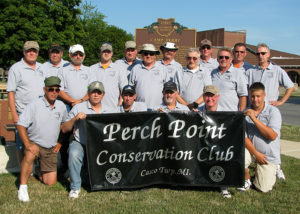 In 2002, the CMP introduced two new events that feature the same principles as the Garand Match. A new Springfield and Vintage Military Rifle Match at Camp Perry attracted over 600 competitors in just its second year. A new Rimfire Sporter Rifle Match now offers a national event at Camp Perry and a fast-growing series of club matches. The CMP designated all of these mass-appeal competitions as “CMP Games” events. To make these matches available at the club level, the CMP sanctions Club Garand Matches as well as Club Springfield, Vintage Military Bolt Rifle, Carbine and Rimfire Sporter Matches. The CMP has also added the new Vintage Sniper Match to its Garand-Springfield-Military (GSM) lineup, featuring two-person teams firing scoped vintage rifles at distances of 300 and 600 yards. The CMP posts a list of all sanctioned matches on Competition Tracker. 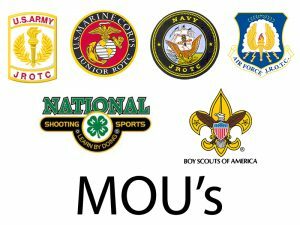 Two of the most prestigious and coveted marksmanship awards in the U. S. are the Distinguished Rifleman and Distinguished Pistol Shot Badges that are won in EIC competitions with service rifles or service pistols. The EIC Program establishes competition standards, maintains individual shooters’ records, award points toward the Distinguished designation and presents the badges and medals. Distinguished status requires earning 30 points in a series of "leg" competitions that could span several years of challenging competitive shooting. Only CMP-affiliated organizations may apply to conduct EIC matches. A list of Rifle & Pistol EIC Matches can be found on Competition Tracker. Qualified U.S. citizens who are members of a CMP affiliated club may qualify for the purchase of an M1 Garand rifle. M1 rifles are graded and priced according to condition. The CMP also sells some types of .22 cal. target rifles that were procured by the military for training. For more information on the CMP government-surplus rifle sales program, visit the CMP Sales web site. Certain government-surplus rifles are available for sale to affiliated clubs at special club prices. CMP Affiliated Clubs receive a 10% discount on government-surplus rifles. 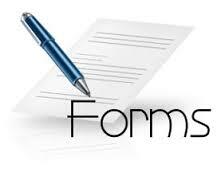 Please use the Club Rifle Sales Order Form when placing a Club Rifle Order. For more information on the CMP government-surplus rifle sales program, visit the CMP Sales web site. CMP Newsletter: The First Shot The official CMP newsletter titled The First Shot is an online publication that provides updates on new CMP programs and program changes as well as information about major events like the annual National Matches. By affiliating with the CMP, both individuals and clubs may benefit in a variety of ways. It’s an ideal way for individuals to gain access to training, facilities, equipment and the ultimate goal of taking your marksmanship to a higher level. 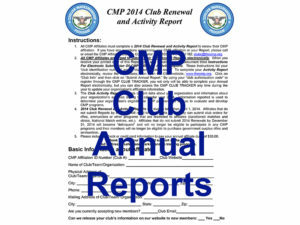 Each year CMP requests our Affiliated Clubs to submit an Annual Report. This helps the CMP to monitor its affiliated clubs and collect valuable data. The links below will take you to information and forms your club will need to make rifle and ammunition purchases from CMP. CMP Affiliated Clubs receive a 10% discount on surplus rifles and special discounts for commercial rifles, targets and ammunition.